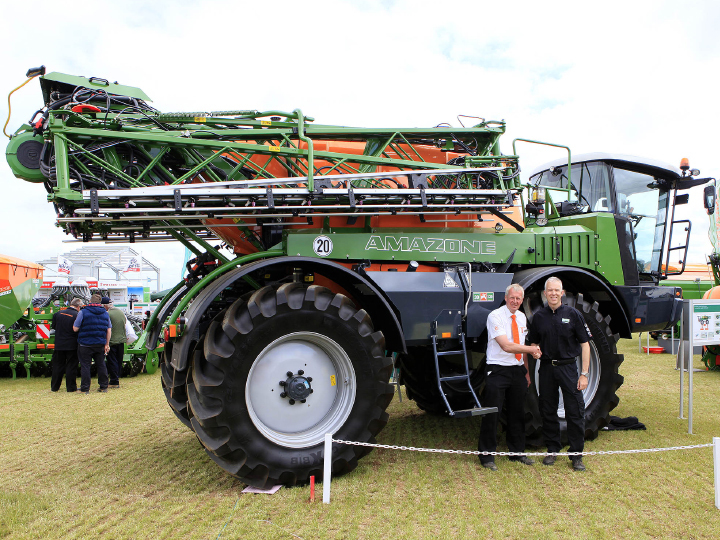 The Datatag team had a busy opening day at CEREALS 2013 near Lincoln. As well as discussing the many benefits of the CESAR scheme with the numerous visitors to the CESAR stand Dave Luscombe found time to call on recent adopters Amazone. 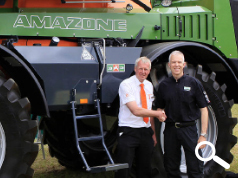 The Amazone Pantera 4001 self-propelled crop protection sprayer (shown in the image) is one of the largest machines to be protected by CESAR in the agricultural market. The team expect another busy day as the show opens in wet and windy conditions.